D. Lafontaine is a Full Professor for Educational Sciences at the University of Liège and director of the Center “Analysis of systems and practices in education” (aSPe). She is currently President of the Department Education and Training and of the Research Unit EQUALE – Evaluation and quality in education. D. Lafontaine has a strong background in the field of reading literacy, comparative studies, teaching and learning processes, quantitative methods, development of cognitive and non-cognitive instruments. She graduated from the University of Liège with a master degree in Romance Philology (1978), an Habilitation to teach French and Spanish (1978) and a Ph. D. in Educational Sciences (1985). 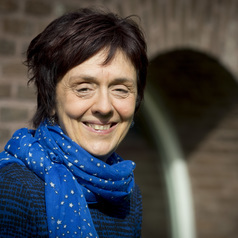 D. Lafontaine has been involved in many large-scale assessment studies, both at a national (IEA Reading Literacy, PIRLS 2006, PISA) and international level: she has been Member of the Reading Expert Group for PIRLS 2006 and member of the PISA-Reading expert group since 1998. For PISA 2018 D. Lafontaine is member of the Questionnaire expert group and the liaison member between the REG and the QEG.